Mike and Kate are in Miami visiting Kate’s Uncle Oliver—and the Miami Marlins ballpark, of course! Uncle Oliver is in charge of keeping the new fish tanks at the ballpark fully stocked, but strange things keep happening. Kate swears she saw an endangered sea turtle in one of the tanks. 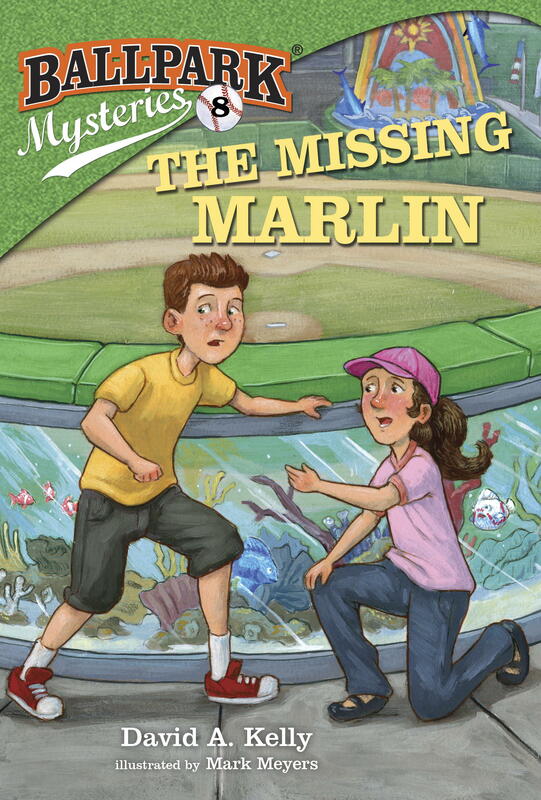 Then some of Uncle Oliver’s rare fish go missing, including his favorite, Marlin. Something fishy is going on in Miami! The Missing Marlin includes several pages of “Dugout Notes,” fun facts about Miami’s recently built ballpark with its homerun statue, fish tanks, and swimming pool.